Kate Poorbaugh is an associate in Chapman’s Corporate and Securities Department and Investment Management Group. She works with clients on a variety of corporate and securities matters, including the formation and offering of investment companies, and matters involving investment advisers, broker-dealers, and municipal securities dealers. 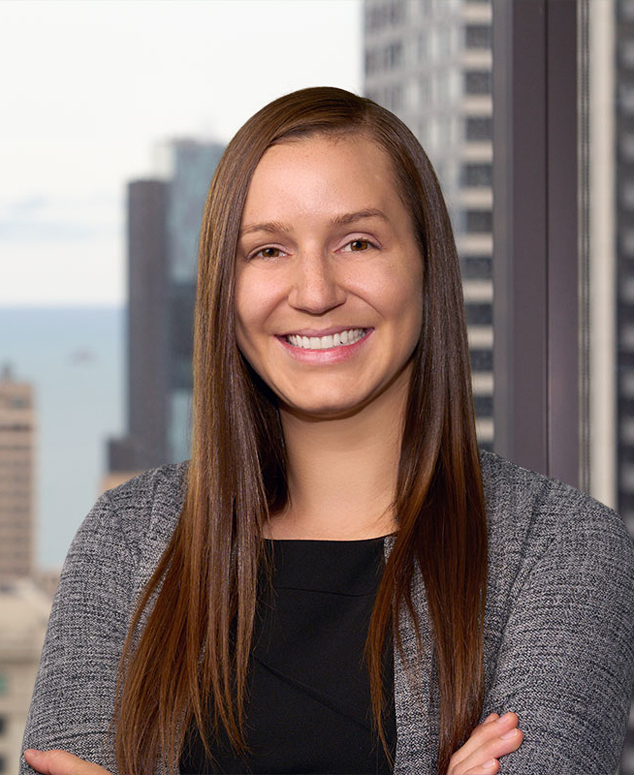 Kate participated in the firm’s summer associate program in 2014 and joined the firm in 2015. Co-Author, "MSRB Publishes Its 2017 Compliance Advisory for Broker-Dealers," Journal of Investment Compliance, Vol. 19, No. 1, 2018, pp. 50–52, doi: 10.1108/JOIC-02-2018-0. Co-Author, "FINRA Releases Guidance on Social Media and Digital Communications," Journal of Investment Compliance, Vol. 18, No. 3, 2017, doi: 10.1108/JOIC-06-2017-0030. Co-Author, "The SEC Provides New Custody Rule Guidance to Investment Advisers," Journal of Investment Compliance, Vol. 18, No. 2, 2017, pp. 9–12, doi: 10.1108/JOIC-04-2017-0021. Co-Author, "MSRB Publishes Its First Compliance Advisory for Broker-Dealers," Journal of Investment Compliance, Vol. 17, No. 3, 2016, pp. 49-51, doi: 10.1108/JOIC-07-2016-0026. “Security Protocol: A Procedural Analysis of the Foreign Intelligence Surveillance Courts,” 2015 U. Ill. L. Rev. 1363. Co-Author, “What’s the Matter with Retirement Savers?,” 47 Conn. L. Rev. 1281 (2015).